I have been eyeing these products for a long long time, on my birthday I received some money and decided to purchase them. I bought from various different sellers, but mostly from ebay. I have large pores which are very visible, which I hate am learning to live with, and I heard great reviews on this serum. I needed a serum so I picked this one up. It smells lovely and has a creamy consistency. Two other products which are wildly talked about and raved. The Innisfree super volcanic pore mask is a clay mask targeted for pores as well as reducing the amount of sebum produced by the pores. I have naturally dry skin but have an oily T zone and cheeks, rather than applying this all over my face I will be targeting these zones only. The Laneige water sleeping mask is also quite raved. This is my first sleeping mask, and I quite like the idea of protecting the skin during the night. This mask comes with a spatula and clear indications on how much to apply and how to apply. It is a whit-ish cream with a almost gel consistency. It smells lovely as well. Which is quite nice considering that you will be smelling it all night. 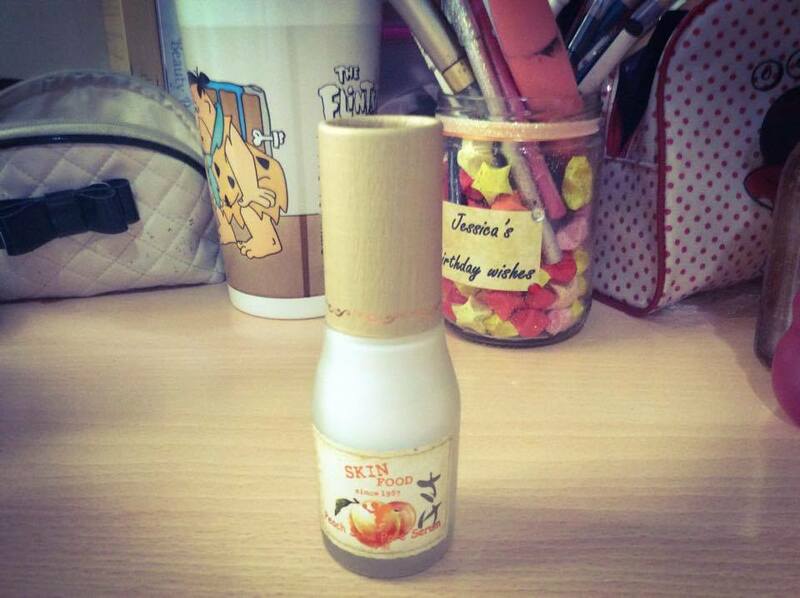 I had been comtemplating buying a new toner and try out an emulsion to further better my skincare routine. 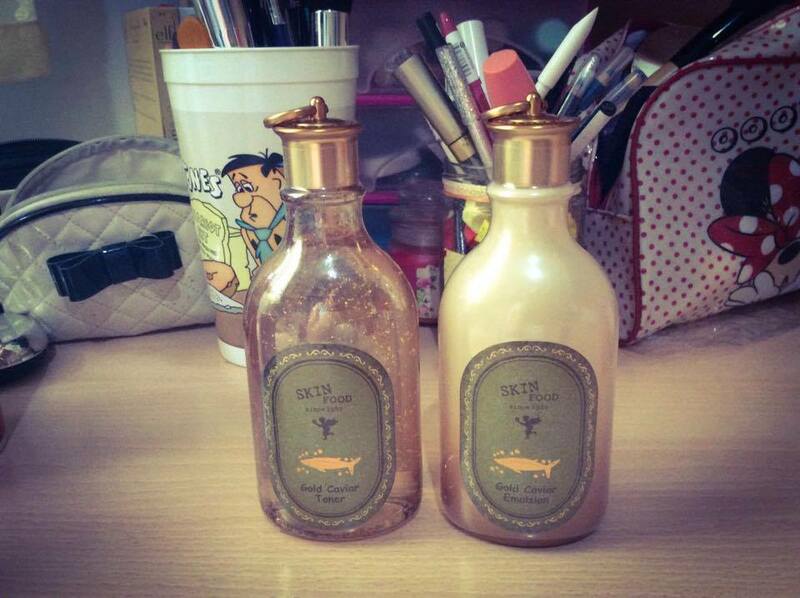 I rummaged through my samples pile ( Korean cosmetic buyers will understand me 😛 ) and found a small sample of the Skinfood gold caviar toner and emulsion and I tried them for a week. My skin felt nice and mosturised. I decided to jump the gun and purchase the full size bottles, which were not cheap! But with the little specks of gold in them and the nice feeling they give to the skin, the purchase was worth it. As you all probably know by now, I am a complete sucker for packaging. Tony moly always has amazing products and to die for packaging. I picked up the Pig collagen sleeping mask since I wnated to try another sleeping mask and hey better have more collagen on the face than less wanted to try out a collagen mask. It was either this or the Holika Holika gel mask. However the sleeping mask won , beacuse of the cute packaging because it was more affordable for me and because I wanted to try it out. Despite containg pig skin ( Yup) it smells great. The consistensy is a bit weird, it is a beige coloured gel/cream. Another day another product for my pores. 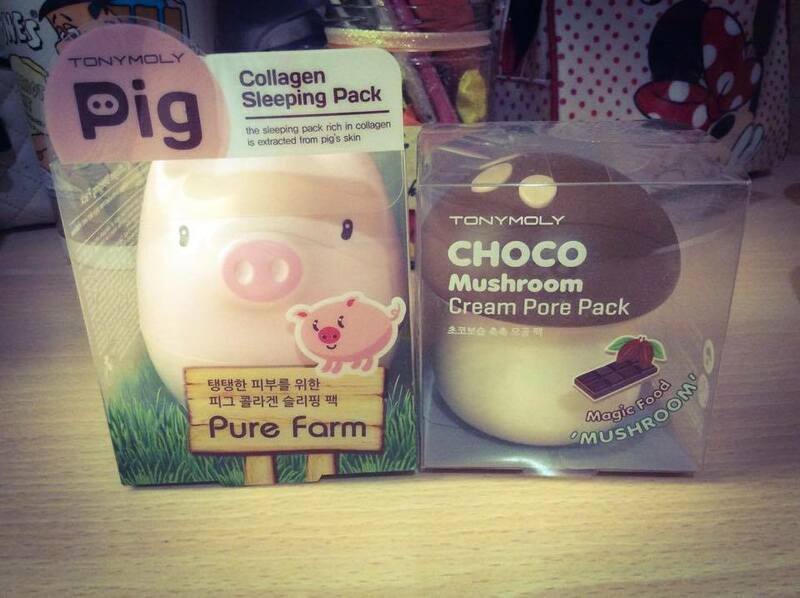 This time it is the Tony moly mushroom pore pack. Tony moly released two other mushrooms. A strawberry scrub and a banana sleeping pack. 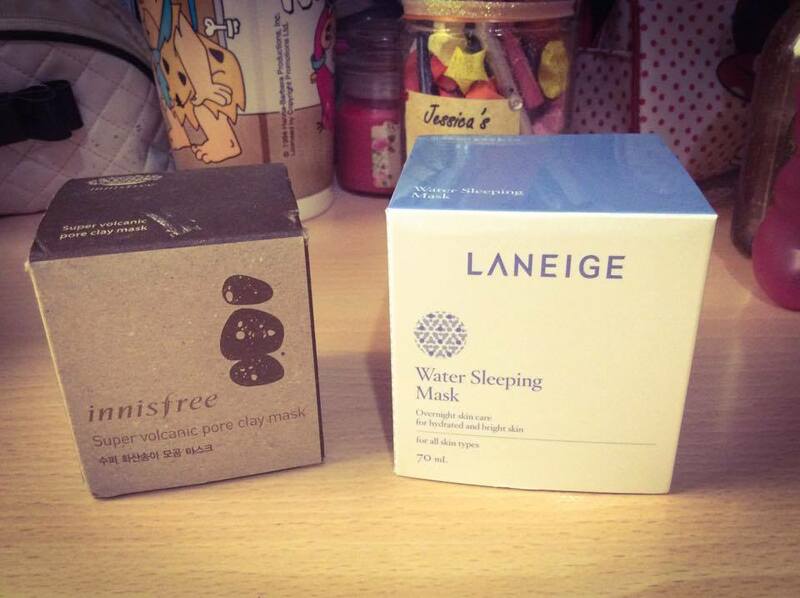 I decided to get the pore pack to try out and maybe compare to the innisfree clay mask as well. It smells almost of almonds and chocolate ( good enough to eat ) and has a cream consistency and it is a light brown colour. I own the Skinfood salmon under eye concealer but have been struggling to make it work. 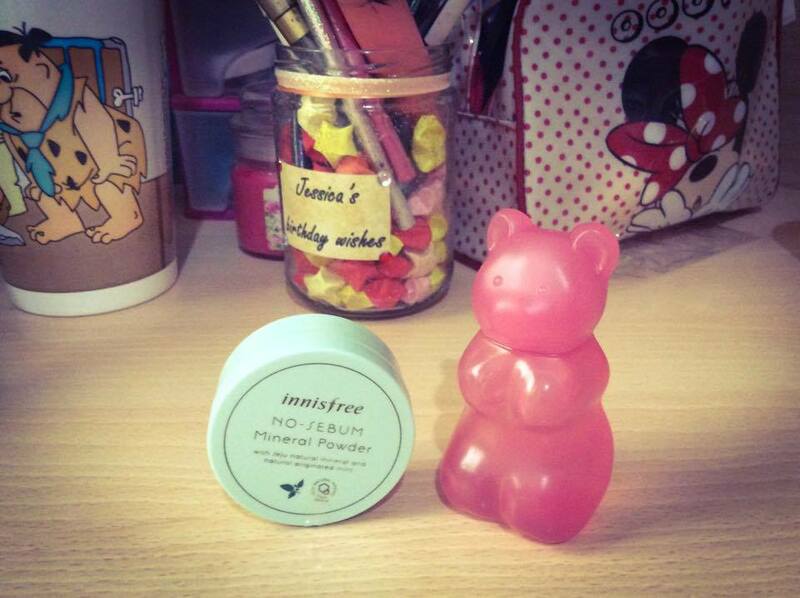 Some suggested I try the Innisfree no sebum mineral powder to set the concealer with. I have yet to try it but the consistency of the powder is light enough that it will probably work. Again I love packaging and when I saw these cute gummy bears I had to have one. I picked up the raspberry one since I wanted a pink bear one which was a clear gel rather than a cream consistency. It smells nice and it does not dry out my skin. I hope you have enjoyed this short description of my collective haul. If you have any question or comments please feel free to ask down below. If you would like to see future hauls please like this post. Disclaimer: The above are affiliate links, although I bought the products myself!